Expand SELECT * to column names makes your query writing much faster. No matter where your SELECT * is, it will be expanded with needed columns and proper aliases. It works everywhere from simple queries to nested subselects and common table expressions to multiple joins, linked servers and synonyms. Find Tab by right-clicking the window tab or pressing Ctrl+K, Ctrl+O in your query window. Sort Tabs by right-clicking the window tab or pressing Ctrl+K, Ctrl+V in your query window. It will sort your tabs in the order you specified in the feature options. 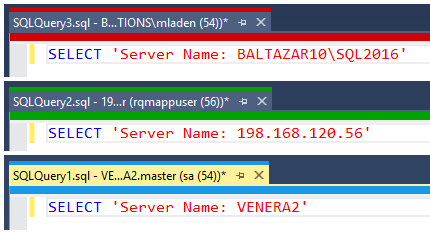 The default sort order is server name, database name, caption text. However you can mix those as you wish. 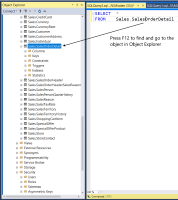 Find Object in Object Explorer makes locating your object in Object Explorer very simple. 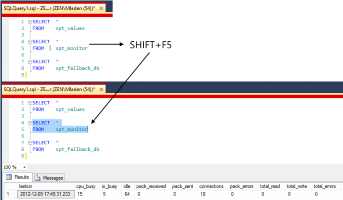 Place your cursor over a table, view, stored procedure or a user-defined function in the query window and press F12. 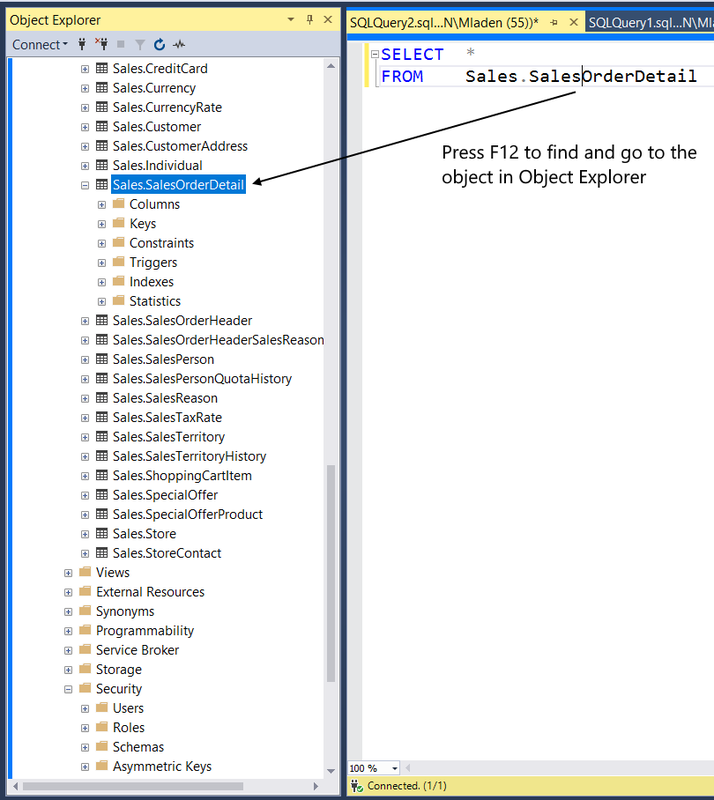 It will go to your object's location in the Object Explorer. 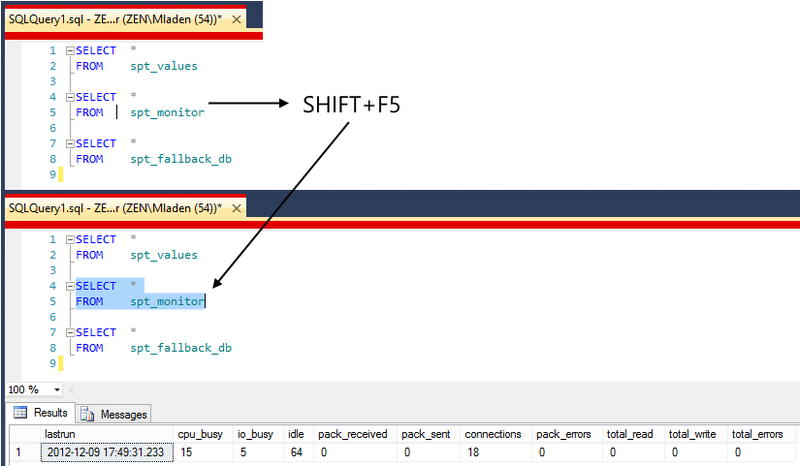 Running a statement at your cursor position by pressing SHIFT+F5. You can toggle the functionality between running the whole SQL statement or running only the text from the start of the SQL statement to the cursor location. Accidental Data Destruction Protector has been a real life saver for a lot of people. It pops an "Are you sure?" window if it detects you've executed a DELETE or UPDATE statements without a WHERE clause, a TRUNCATE statement, DROP TABLE and DROP DATABASE statements and a possibly OPEN TRANSACTION. If you're sure you want to proceed just press Enter, F5 or Ctrl+E to continue execution. 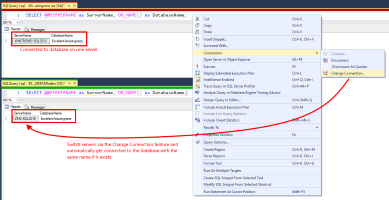 By default it checks for all four destructive statements only if you're executing a selected text. All of this can be set in Options. If you work a lot with temporary tables you can set it to ignore all warnings if the operation is only on that temporary table. Run At Status Bar Element now gives you the date/time when you ran your query. Sometimes you want to know when you actually ran the query and not just how long it took. 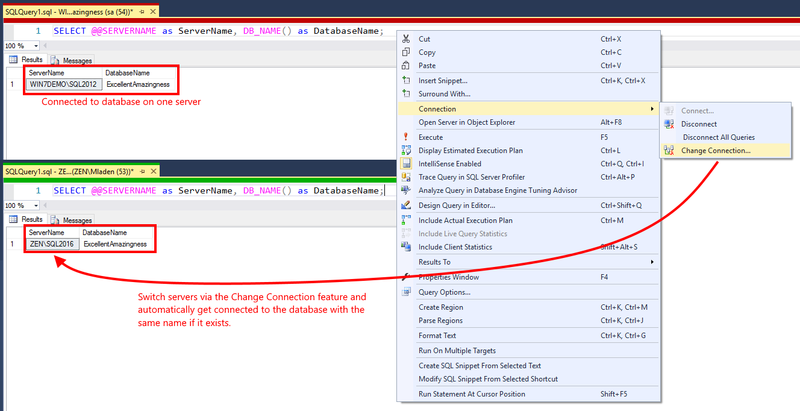 Until now SSMS didn't have this functionality. This feature has 3 display options that you can set in Options. You can either disable it, show only time or show full date and time. It's the perfect companion for those long running scripts. Rename Tab by right-clicking the window tab or pressing Ctrl+K, Ctrl+R in your query window. then simply rename it to whatever you wish. 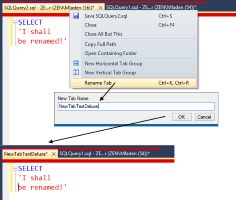 The rename will only apply to the visible window text and not to the underlying filename, tooltip or SQL History saving window caption. 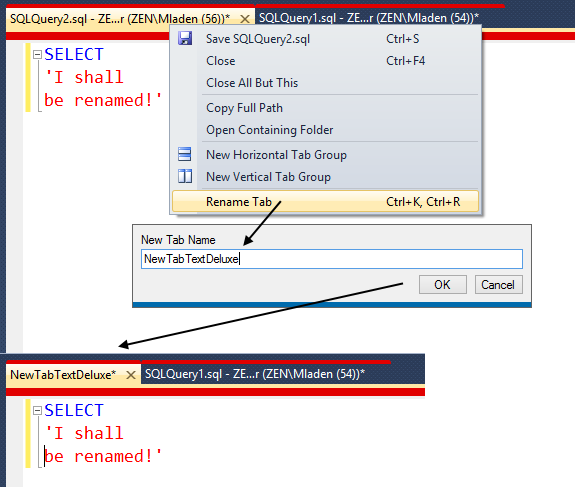 Version 4.2 adds the ability to auto-rename a tab to the text in a user-defined line in the executed SQL script. That means you can set the tabs to be automatically renamed to the text in line 1 or line 6 if for example you want to skip comments on the top of your scripts. Tab Auto-Rename is disabled by default. Auto-Connect to Same-Name Database when changing servers. This feature is great if you're working on multiple servers that all have databases with same names that you need to switch between. 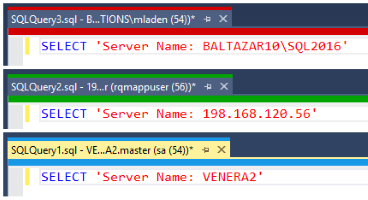 When changing the SQL editor's connection to a different server, the SSMS Tools Pack will try to connect to the database with the same name as the one you were connected to on the previous server. If the database doesn't exist an error will be thrown. Just be careful you run your scripts on the correct server. Window Connection Coloring can help you with that.